Along with The Muppet Show and Sesame Street, Jim was in the midst of getting his fantasy project, The Dark Crystal, off the ground. The core creative team was coming together in New York where designer Brian Froud would arrive for meetings starting on January 16th. The previous December, Jim had received an intriguing gift from his colleague Michael Frith: an exquisite Japanese-style marionette made by a young artist recently moved to New York, Wendy Midener. 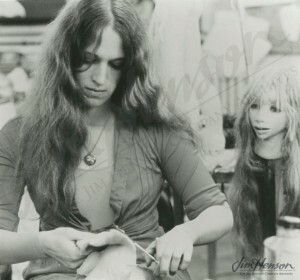 Jim immediately saw the potential of combining Wendy’s talent for sculpting dolls and puppets with Brian’s creative vision and called her in for the January 10th meeting. They talked about the project, and she was invited back for the first development meetings with Brian. Very quickly, The Dark Crystal became Wendy’s full time occupation, and by the time the production moved to London the following year, she and Brian were a couple. Notably, Wendy sculpted many versions of Jen and Kira and worked to translate scores of Brian’s drawings into three dimensions. The same year, she helped make Yoda for Star Wars and later was instrumental in the development of Jim’s second fantasy feature, Labyrinth. Today, the Frouds live in Devon, England in a 15th century house where they continue to make art. 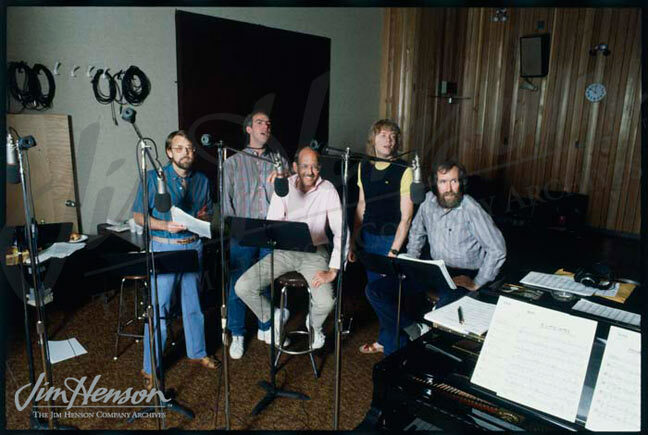 A Muppet Show recording session with (l. to r.) Dave Goelz, Richard Hunt, Frank Oz, Steve Whitmire, and Jim Henson, c. 1979-80. Wendy Midener working on a Gelfling, c. 1980-81. 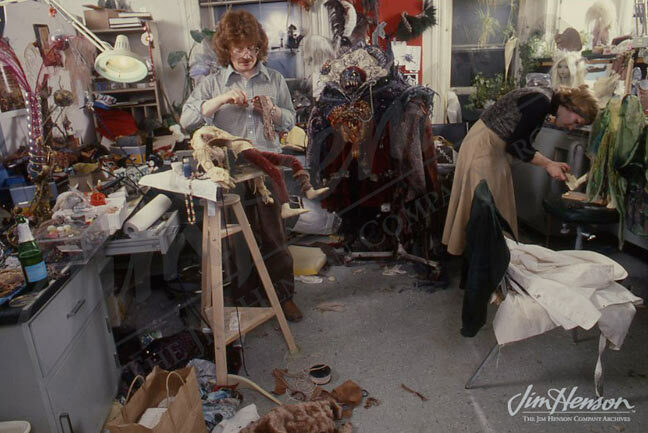 Brian Froud and Wendy Midener in the Henson Creature Shop. This entry was posted in 01-January '78, 1978, Dark Crystal, Labyrinth, Muppet Show and tagged Ernie, Froud, Kermit, Krofft, Midener, Spinney, Whitmire. Bookmark the permalink.